With the prospect of much longer lives, building and maintaining your Tangible and Intangible Assets is key to ensuring your longer life becomes a gift and not a curse. The 100-Year Life Tangible and Intangible Asset Diagnostic was developed by Lynda Gratton and Andrew Scott for the launch of The 100-Year Life: Living and Working in an Age of Longevity. Please wait whilst the diagnostic loads. 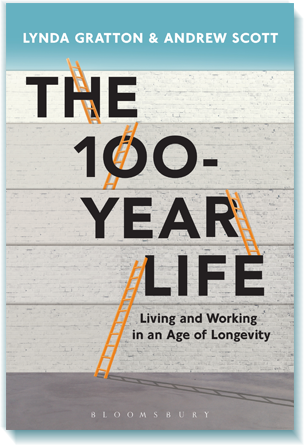 The 100-Year Life: Living and Working in an Age of Longevity has won the second prize of The 2017 Business Book Award of Japan. Lynda Gratton and Andrew Scott’s recent article in MIT Sloan Management Review is an important piece about the inconsistent corporate response to increased longevity. Read the article here. Eslite, the leading bookstore in Taiwan, has chosen The 100-Year Life: Living and Working in an Age of Longevity as the Best Book in February.